Over the past day, militants violated the cease-fire on the Donbas 36 times. As a result of the attacks, one Ukrainian soldier was killed. Another serviceman of the Ukrainian Armed Forces died in an explosion of an unknown device, according to the report by the ATO press center on Facebook. 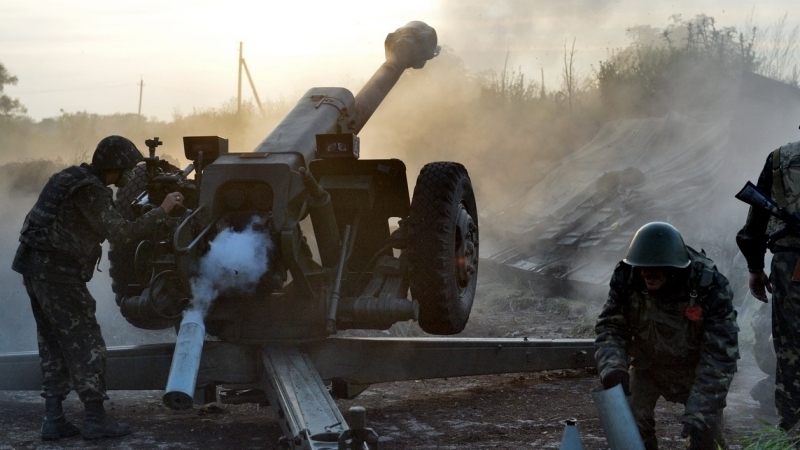 In the evening, militants fired at Ukrainian positions near Butovka mine from grenade launchers and machine guns in the course of several hours. Ukrainian soldiers responded harshly to the enemy. As a result of this confrontation, a serviceman of the ATO forces was wounded. “At about 18:00, as a result of the enemy’s fire in the area of Kamenka, one of our defenders died. Also, yesterday, near Nevelskiy, another Ukrainian soldier blew up on an unknown explosive device and, was mortally wounded," the report said. In the Primorsky direction, pro-Russian militants hit the Ukrainian strongholds on the outskirts of Vodyanye three times from grenade launchers and machine guns, and once from mortars of 82 caliber. In the evening, at about 6 p.m. the positions of the Armed Forces of Ukraine near Pavlopol were attacked with the 120-mm mortars. During this shelling, another military man was wounded. Around midnight, militants fired at Ukrainian positions in the Novotroitsky area with an infantry fighting vehicle. In the Luhansk direction, the invaders used small arms on the approaches to Novoaleksandrivka and Popasnaya. With the help of anti-tank grenade launchers and machine guns, they attacked the positions of the Ukrainian Armed Forces near the Stanytsia Luhanska and Valuiske. Earlier in the Luhansk region, police officers prevented a terrorist act. Law enforcers uncovered an ambush of militants near the TB clinic in Trekhizbenka.